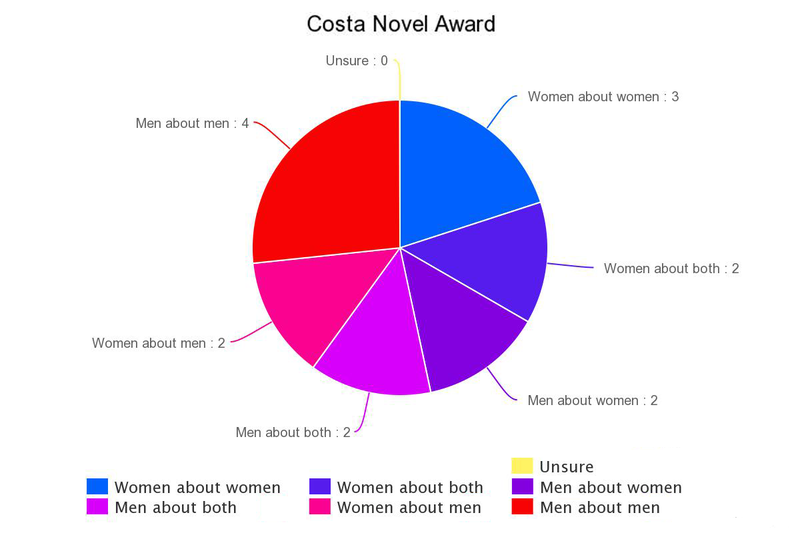 And here are two new pie charts, following on from my previous post about what kind of book wins awards, this time on the most recent 15 years of the IMPAC Dublin Award and the Costa Novel Award. 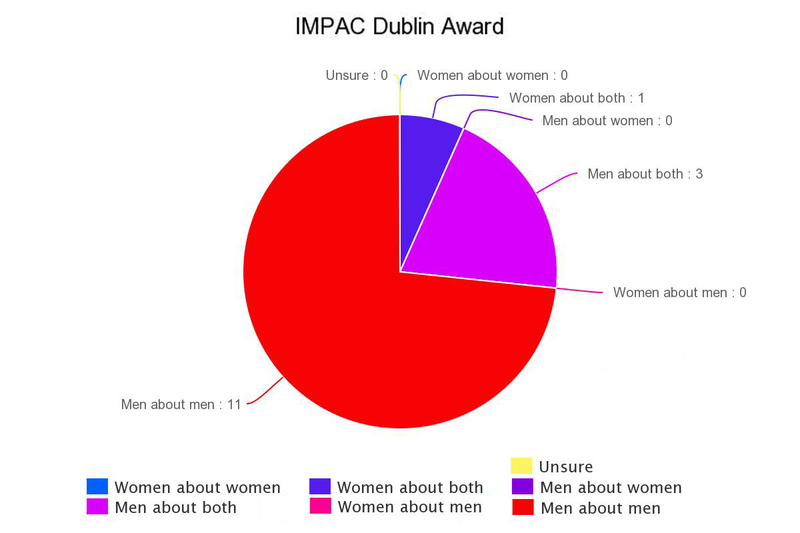 As you can see, the IMPAC, one of the richest book prizes in the world, given for “excellence in world literature,” gives zero out of the last 15 prizes to stories by women about women—but 11 to stories by men about men. Compare this to the more populist Costas, which cheerfully declare they are for “well-written, enjoyable” books: 3 go to women writing about women. In other words, no surprises: the more consciously prestigious the award, the less likely the prize is to go a woman writing about women. More data to follow. Hopefully a lot of data. Fascinating and sad at the same time….I’m part of 2nd waved feminism and now I wonder what the hell, and how long the hell it’s going to take?! So many women who were less lucky/pigheaded/talented/wilful/smart/privileged (pick as many as you think apply) than us didn’t make it. This is for them, and for all who follow.